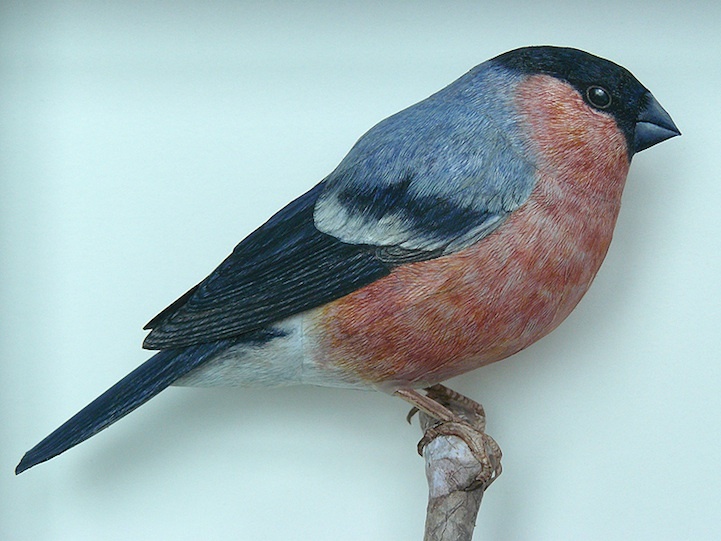 Netherlands-based artist Johan Scherft discovered papercrafting at 14 quite by accident when he started making hand-colored paper bird models. "It appealed to me because it combines so many different techniques like working in three dimensions combined with drawing and painting." 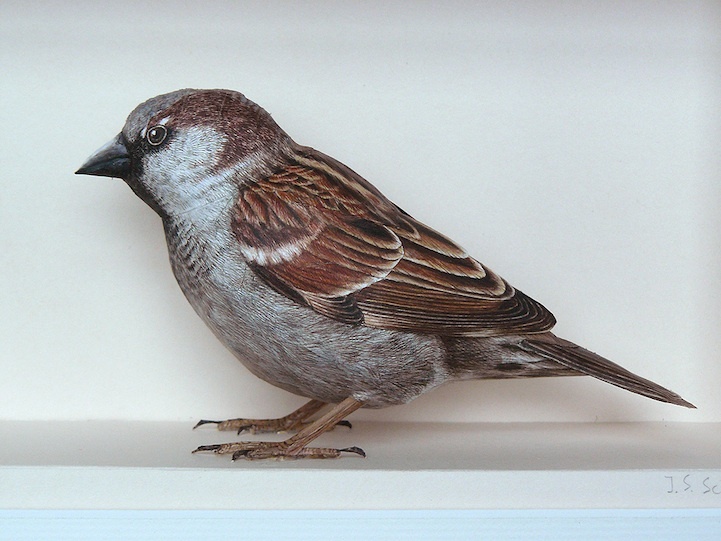 "Of course, it is impossible to capture every curve of the bird's body in paper, compromises have to be made, or the model would have too many gluing tabs, making it too difficult to make. 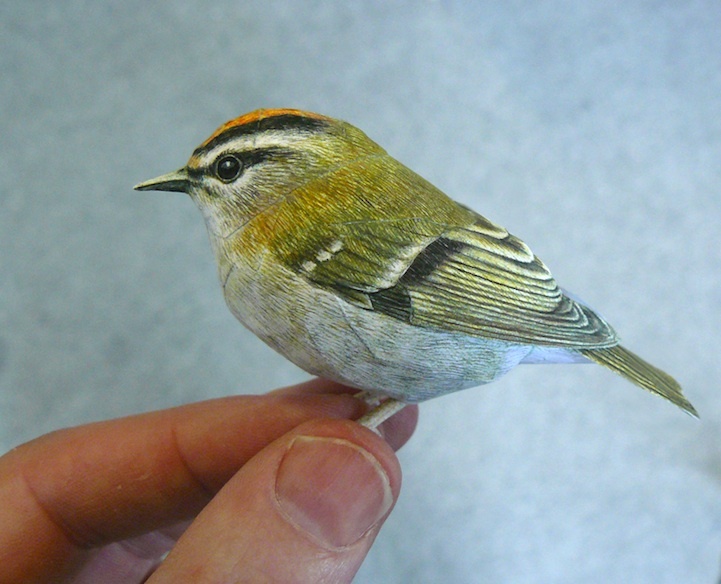 A lot of the realism is suggested with the paintwork. For this part, I take the most time. With very fine brushes, I try to achieve the most realistic effect in color and detail. I use watercolors or gouache paint. 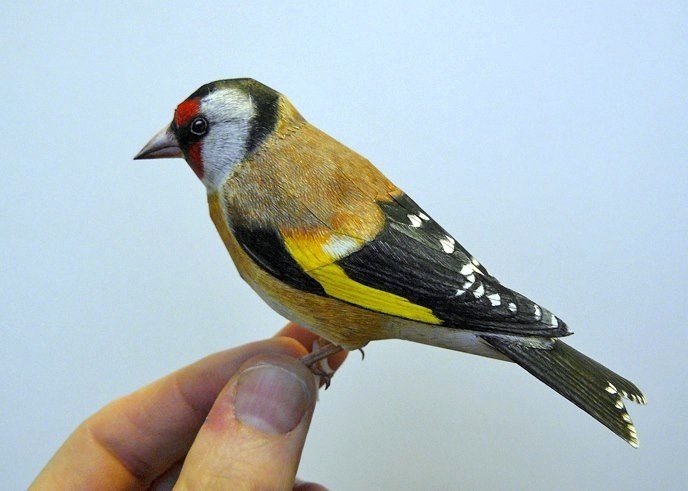 It's always an exciting moment once the template has been painted to assemble the bird and see what the result is."